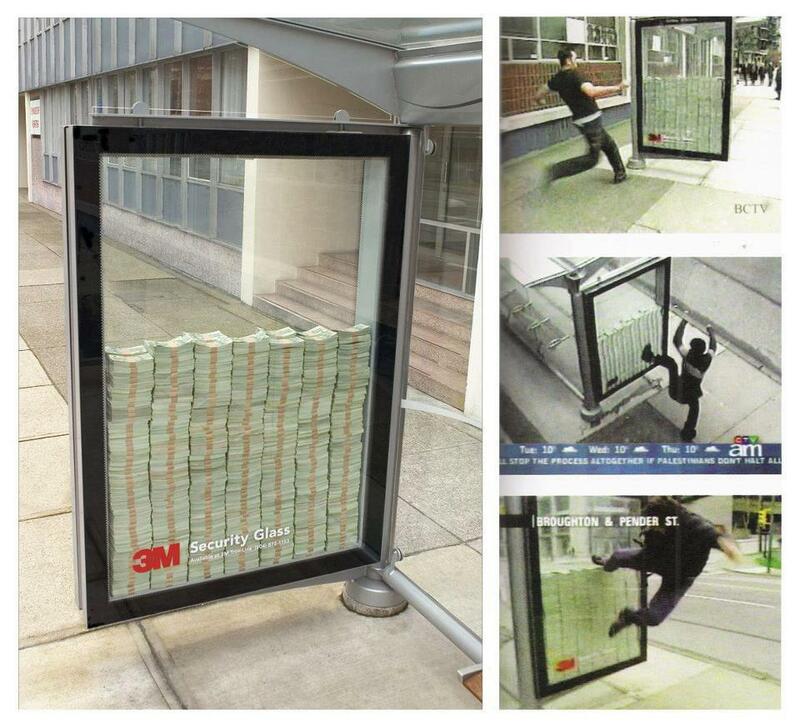 3M the maker of bulletproof glass puts three million dollars in the middle of the street, protected by their product. I gotta say, you’d need to have confidence in your product to be able to do something like that. Or you need to have security cameras surrounding it, like they obviously do. « See what global warming is doing to our world?